Eight of the 10 most valued Indian firms suffered a combined loss of Rs 1,35,162.15 crore in market capitalisation last week with benchmark BSE Sensex diving around 3 per cent. 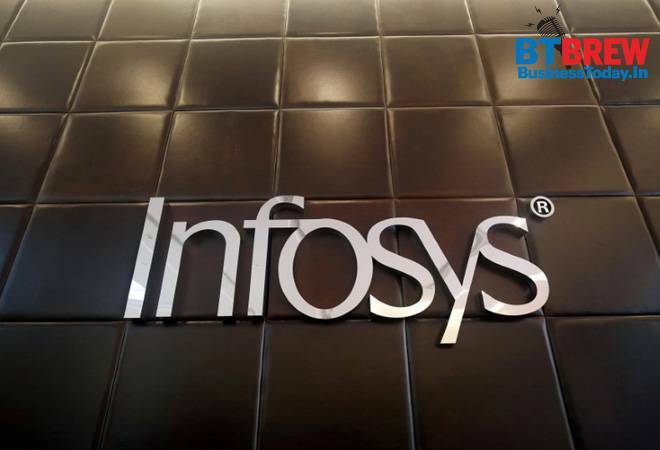 TCS, RIL and Infosys took a severe beating in market valuation while only two bluechips, HDFC and ICICI Bank, managed to record gains in market capitalisation (m-cap) for the week ended Friday. The UIDAI has clarified to banks that Aadhaar eKYC can be used to authenticate beneficiaries of government subsidies and welfare schemes while for other customers physical Aadhaar card can be used for verification, a source said. The Aadhaar-issuing authority Unique Identification Authority of India (UIDAI) wrote to the banks last week clarifying the instances and modes in which Aadhaar can be used, and a copy of the same was also sent to the Reserve Bank of India. Paytm's parent company One97 Communications has reported a higher net loss of Rs 1,490.4 crore for the year ended on March 31, 2018, compared to Rs 879.6 crore in the previous fiscal, according to regulatory filings. The entity, which competes against the likes of Flipkart, Amazon, Snapdeal and Shopclues, saw its revenue from operations rising manifold to Rs 744.15 crore in FY2017-18 from Rs 7.16 crore in the previous year. Enthused by the impact of new insolvency and bankruptcy law, the government expects bad loan recoveries to exceed Rs 1.80 lakh crore target for the current financial year, an official said. Some big accounts are in the process of getting resolved while some more are lined up for resolution under the Insolvency and Bankruptcy Code (IBC), a senior Finance Ministry official told PTI. Prime Minister Narendra Modi and his Japanese counterpart Shinzo Abe held informal talks at a picturesque resort near Mount Fuji and visited a factory of industrial robot manufacturer on Sunday as they spent about eight hours together on the first-day of a two-day summit. Modi, who arrived in Japan on Saturday to attend the 13th India-Japan annual summit, has said the partnership between the two countries has been fundamentally transformed and it has been strengthened as a 'special strategic and global partnership'. The Centre has appointed IRS officer Sanjay Kumar Mishra as the new chief of the Enforcement Directorate (ED) on Saturday. He will hold this office in an additional capacity for at least three months. Mishra will replace incumbent ED chief Karnal Singh whose tenure ends on Sunday. The PM Narendra Modi-led Appointments Committee of the Cabinet (ACC) has appointed Mishra as the principal special director in the ED, along with assigning him the additional charge of ED director. The Finance Ministry has sought inputs from different central ministries for Arun Jaitley's Budget Speech, which would be the last budget of the current BJP-led NDA government before the 2019 general polls. Earlier this month, the ministry began the budgetary exercise for 2019-20. During the process, meetings will be held with ministries of steel, power, and housing and urban development to finalise revised expenditure for the current fiscal and projections for the next financial year. The meetings are scheduled to continue till November 16.